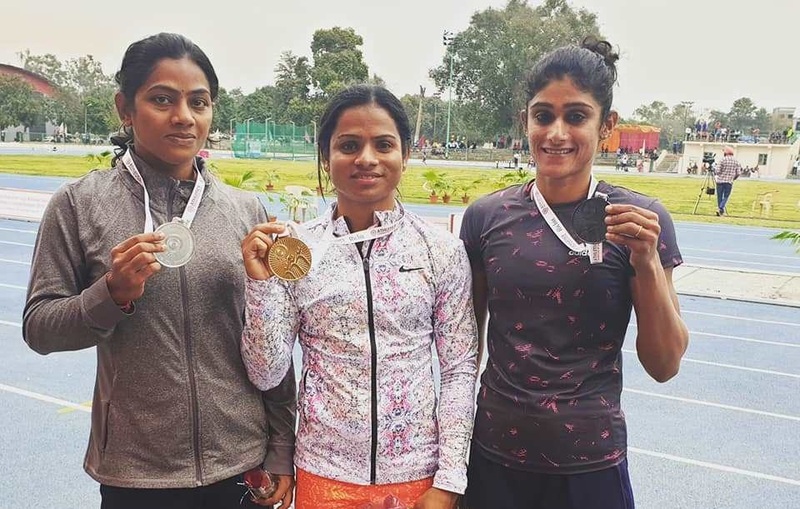 On Monday, Odisha’s ace sprinter Dutee Chand bagged gold medal again for the second time in the 23rd Federation Cup National Senior Athletic Championships at Patiala in Punjab. The sprinter reached the position clocking 11.45 seconds in the women 100 metres race. Similarly, Odisha’s heptathlete Purnima Hembram won silver medal at the championships. Prior to this final, on March 16, the sprinter had bagged a gold medal in the 200-metres sprint by clocking 23.35 and her teammate Jauna Murmu had bagged bronze in the 400-metres track by clocking 57.58 seconds in the field event. ONI congratulates Dutee for an outstanding performance on winning the gold medals and Purnima Hembram for silver.